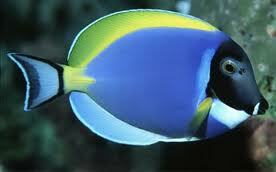 The Powder Blue Tang, also known as the Powder Blue Surgeonfish, has an oval body shape with extremely colorful, bold markings. 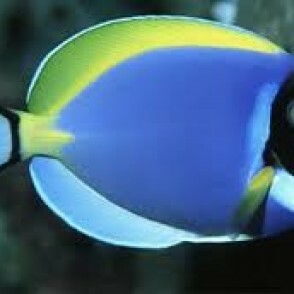 It is prized for its vivid colors and bold markings, with several varying shades of blue accented by yellow and white. 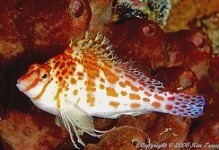 Bright yellow highlights the dorsal and pectoral fins, and striking blue-black markings outline the face and tail. 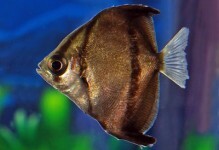 A 125 gallon or larger aquarium is necessary to provide plenty of swimming room. 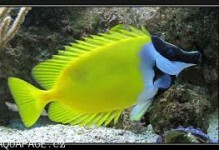 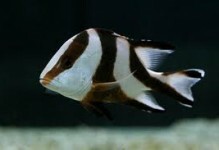 It is extremely aggressive towards other Tangs or Surgeonfish, especially those similar in form and color, and should be the only one in the tank except in very large systems: introduce all at once if more than one is to be maintained in the same aquarium.